Look for the new sign! Installed the new shop sign. 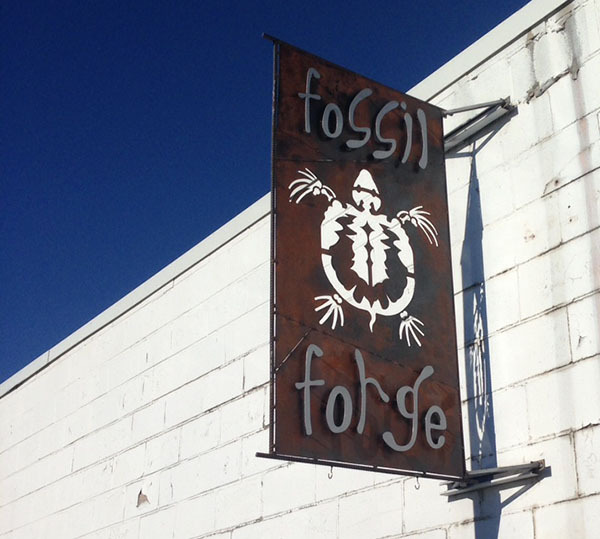 This sign is made from leftover materials and finished with a rusty patina. The letters are offset from the background for greater depth. Lastly, I coated the sign with lacquer to add some gloss. I like how the turtle shadow shows itself as the sun moves across the sky. Come see me at 317 B SE Main Street in historic downtown Lee's Summit, Mo.